Elhoztuk a legeredményesebb felnőtt komondor kan díjat. Kennelünkből származó Somogyi Betyár szülőktől született kiskutyák előjegyezhetők. 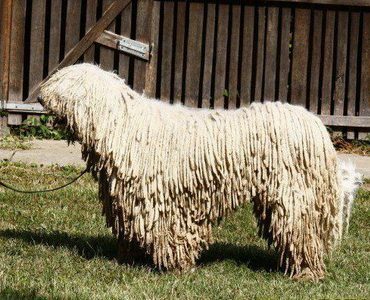 Üdvözlöm a honlapomon, Talpai Melindának hívnak, a Somogyi Betyár Komondor Kennel alapítója és tulajdonosa. Szerencsésnek mondhatom magamat, mert gyermekkorom óta állandóan élvezhetem az ember igaz barátjának a szeretetét és hűségét. Több fajta kutyával is foglalkoztam (Német Juhász, Német Vizsla, Alaszkai Malamut), érdekes volt megismernem egyes kutya fajták jellemzőit. 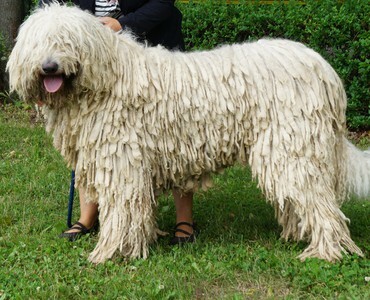 Ma már tudom miért mondta nekem egyszer egy idős bácsi, hogy „kedvesem, van a kutya és van a Komondor”. 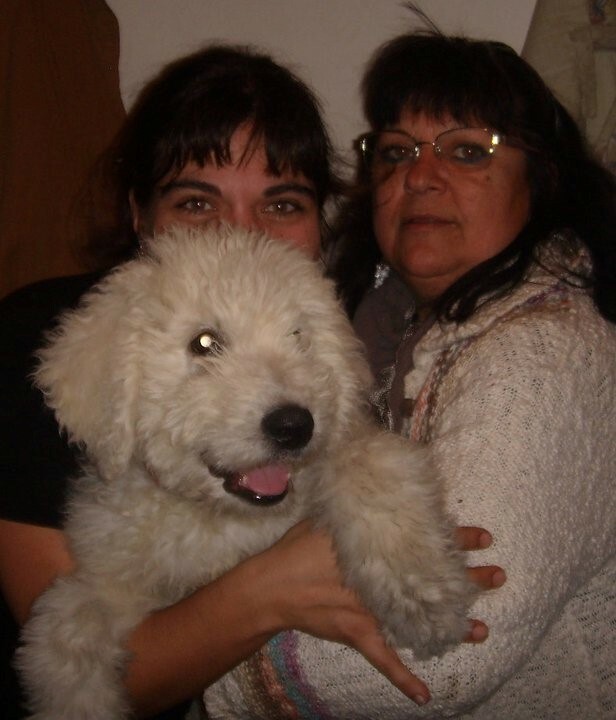 In these words I wish to express my sincere thanks, when I decided to import my third Komondor breed puppy to my country I had the joy of being in the way Mrs. Melinda Talpai. The path of the hand of this woman was more easy, simple and above all full of infinite respect and trust. 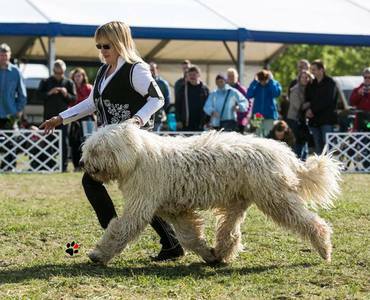 On May 13 I received at the Ezeiza International Airport to my beloved "Nefelejcs Beremendi Bundas" and just days later I received by certified mail, the corresponding pedigree. I would emphasize that surprised me the immaculate condition of the puppy received, which after three days of travel on flights and scales, was spotless, had been chosen for her the best of services for moving pets, had carefully sanitized, attended excellence. And her health since her arrival in Buenos Aires today is unbeatable. The quality of the animal is better, a typical puppy, perfect, very correct to the last requirement of the breed standard.By the pedigree of my puppy, I went to Argentina to Federacion Cinologica corresponding nationalization, hoping that under the language barrier and the distance may be some slope to solve, but the pedigree was more than right points and commas seals, Melinda had dealt with the smallest detail. 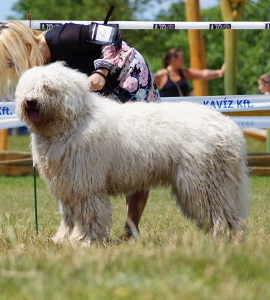 After so many steps and discomfort with me today my wonderful specimen, my pride, thanks to the respect, dedication and seriousness of the work of this wonderful woman who is now my wonderful friend in my beautiful homeland of Komondor. I recommend his work and seriousness to every person who wants to purchase a puppy from this or any other race, thank you for your impeccable work and give you my gratitude forever. Of course, each time I present the possibility of importing a dog from Europe tell you, Thank you for your work Melinda so outstanding! 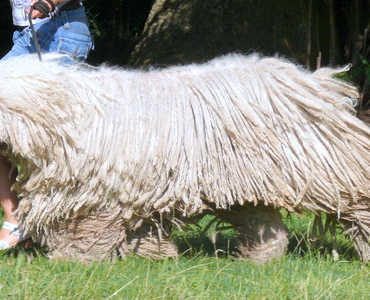 This is the little story how I get to my komondor in Spain;I d always loved the komondor breed but in december 2011, I decided to buy a male komondor,in Spain it was just impossible to find a male komondor, so ,because I am german, I searched in Germany but one this time their where no puppies available but one breeder told me that ,Melinda Talpai,in Hungary has just a litter, and recommend me her dogs off very high standard,so I d looked on her wepsite, mykomondors, and she had 4 female puppies , but she had as well one , one-year old male, so I called her and she told me that he is still available , a XXL male kommondor , just what I am looking for , Duhaj ; was his name; she told me that he has a very equilibrated character and send me fotos for him , i decided me directly to by him , but how we get him to Spain. Melinda managed this all perfectly for me , the papers ,veterinarian, the transport all perfectly, we were every day in contact with each other up to finally Duhaj arrived in perfect condition in his new house in Spain, and he is relay an extraordinary dog finest character and relay big, 82 cm on the shoulders, and he is relay very well with my other big dogs , so I can relay say thank you to melinda , and she is a very trustfully and serious responsible Lady , and know, our good friend in Hungary , thank you so much to Melinda to breed so carefullythis amazing dogs, with so much love! 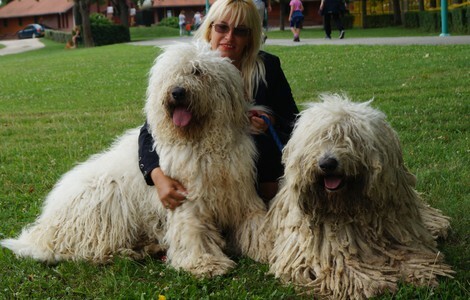 Our history begin when we decided to bring a komondor from his original country, so by facebook we contact Nancy Pascuali to ask her if she knows some breeder from Hungary, she send us a list of possible breeders and we started to send e-mails to each one asking if they will have puppies on sale on the date that we have planned to travel to Hungary.Melinda Talpai was the only one who answered quickly and interested in our request, since then a good relationship began. When we started to plan the travel she help us in everything she could, things like reservation of the hotel, she went t olive at Budapest in our stay, and every doubt we have about the country, Money, weather, etc. When the day arrived she took us from the airport to the hotel.At all time she was worried about us, show us the city, the food, any problem that we had she help us to solve, she took us to her farm to choose the doggie, in summary she is a very nice, responsable, honest, reliable and ethical person, we recommend her 100%... no no no 200% .We are very satisfied with Melinda Talpai and our Komondor. 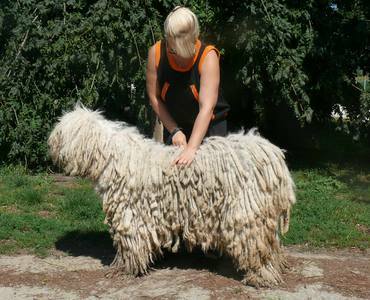 Last year I started looking for a komondor puppy in Hungary. Having a small child at home I could only do it via internet. I've contacted many breeders and agents and among them Ms Melinda Talpai answered. From her first email she was very professional, found out my needs and then gave several choices. 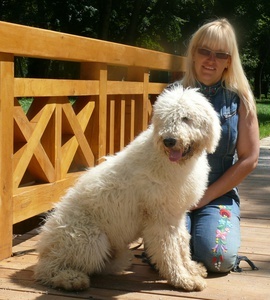 She was very easy with all arrangements including proposal of bringing the puppy to Poland. 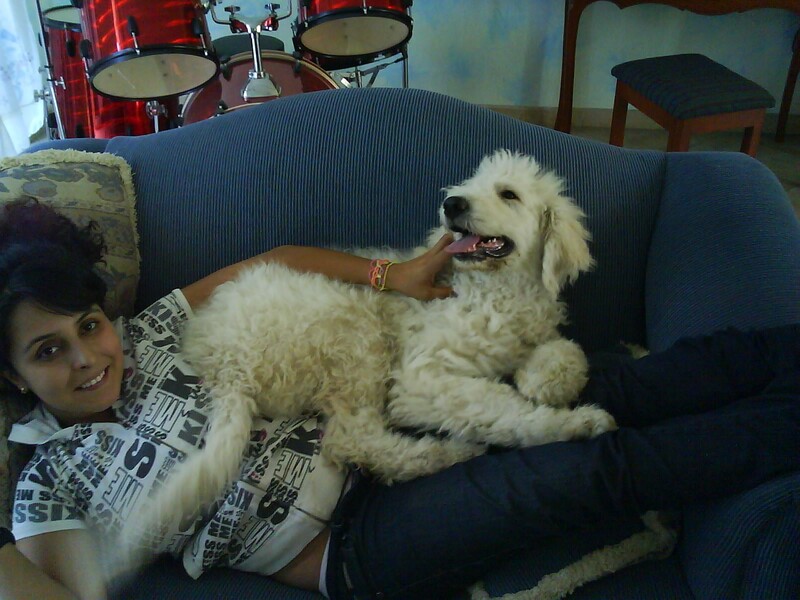 Atos is now one year old and he is really great and beautiful dog. 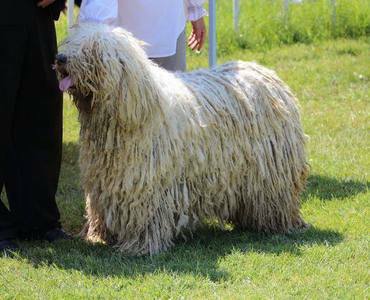 I would not hesitate in highly recommending Melinda Taplai to anyone searching for the best Komondor breeder in the world. 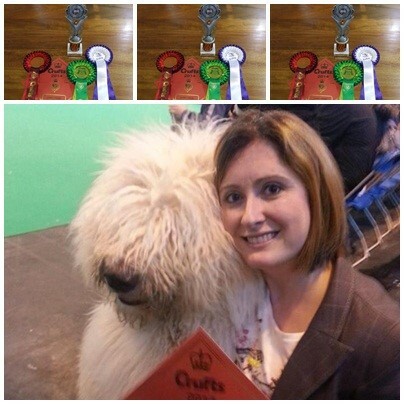 Melinda chose and reared our dog for over 6 months until he had been vaccinated and met all the quarantine requirements for his journey to Australia. 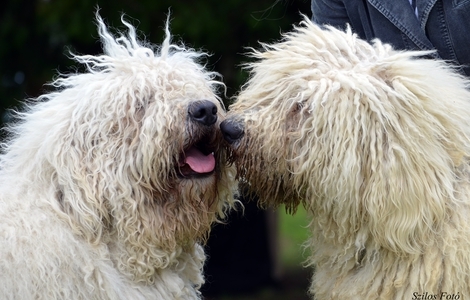 Huba is the perfect Komondor, our gentle giant. He is loving and caring to our family and friends, particularly to the children but wary and protective towards strangers. 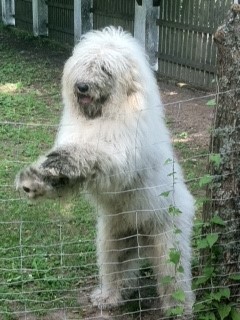 He has a balanced and well founded temperament. I cannot thank Melinda enough for all she has done for us. 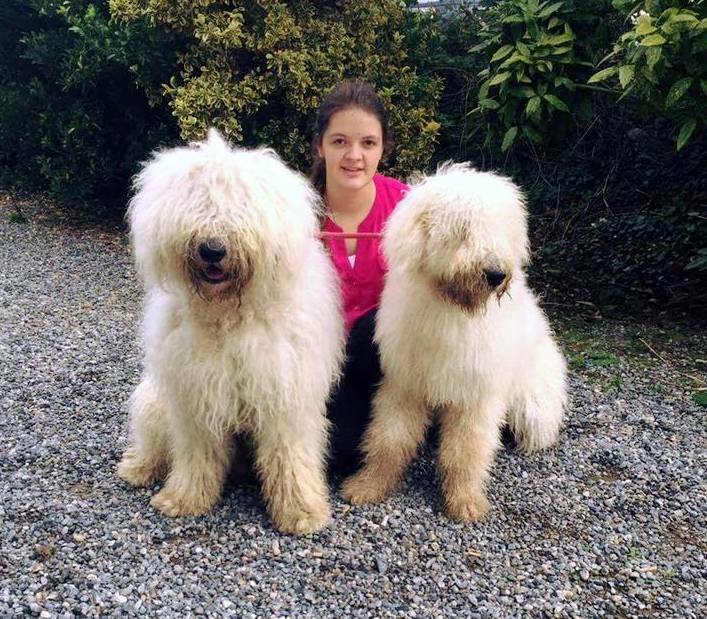 When we found out that there were no Komondors being bred in the UK anymore we started researching buying one directly from Hungary. 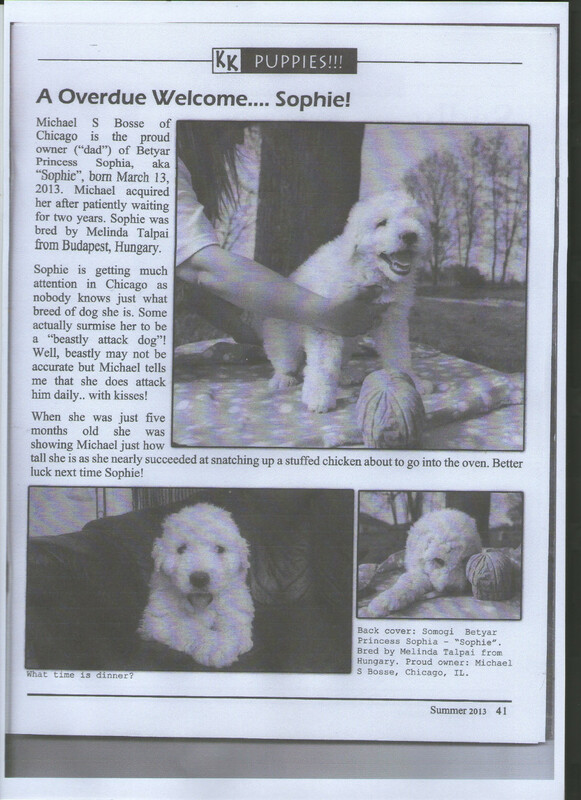 Although we had done our research on meeting as many of the breed as possible here in our country we were obviously very nervous finding the correct puppy for us.We contacted several breeders by email that we found advertised on breeding websites and Melinda was one of the first to get back to us. Every question we asked her she gave a really quick well educated response and her English is brilliant (especially as we speak no Hungarian whatsoever). She really tried to understand what we wanted from our puppy and as soon as a potential puppy for us was available she gave us as much information as she could regarding his breeding and his temperament.We were worried as we were not able to travel to Hungary to meet him before buying him but she sent us many photos and updates as he was growing up and getting his vaccinations before he could travel. She even asked us what ‘pet’ name she would like her to start using for him so he could start to get used to his name in his early weeks. As his registered kennel name she had chosen was so beautiful in both sound and meaning (Ipoly) we felt no need to give him an additional name but it was kind to be asked. The reservation process was unbelievably easy and even when there was a last minute problem with the booked courier/cargo company for his import to the UK she managed to source another reputable company within 24 hours, obviously working very hard for him to arrive as safely to us as possible.We had updates for his travel into the UK and he arrived in amazing condition with his own beautiful collar and lead, the long journey seemingly not having daunted him at all. 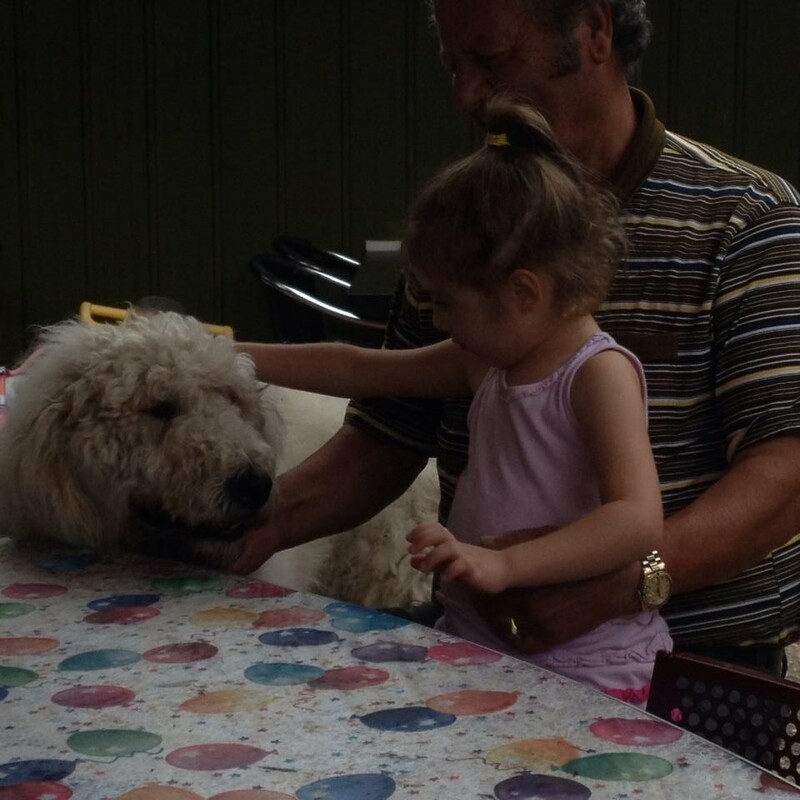 The love he has clearly got as a puppy showed through and he settled into our family straight away.Even now he is living in another country Melinda stays in touch and has always been really supportive regarding his progress. We know that no matter what we would need to ask she would be there for us and Ipoly. We cannot recommend her kennel highly enough. 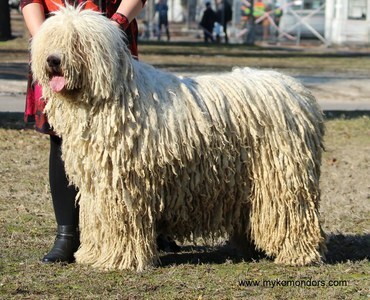 My lovely and nice Komondor Fehér Kócos Farida, from the day I 've had her she has never been sick even though there are a lot of changes for her as I live in Bangkok Thailand which is quite a lot of differences in climates and weather from Hungary.Thank you to Talpai Melinda for this perfect dog. 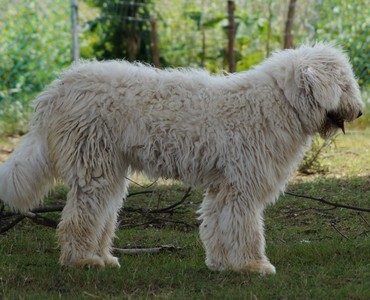 I have been looking for a komondor for almost a year, I have contacted some breeders , agencies , importers, but after writing some e mails to them I felt I do not trust them, sending money to someone you do not really know esp. from the internet is really a risk. But after I talked with Melinda I felt that she is a nice person that I can trust. 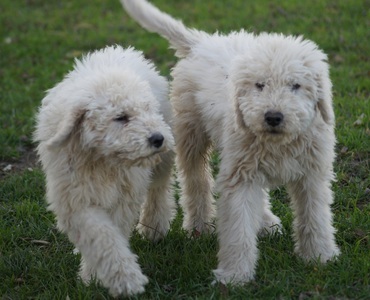 I went to Budapest for the puppies 1 Komondor and 1 puli ( Melinda find one for me from a very good breeder). 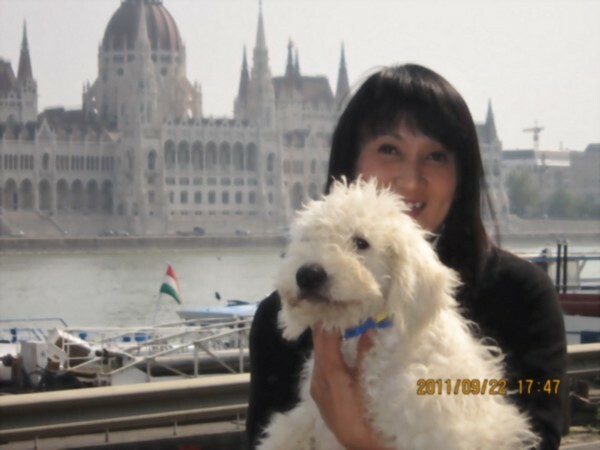 Melinda came to meet me at the airport with the puppies and took me sight seeing around Budapest and stayed with me until that evening when I get back. After I came back we still keep in touch, Melinda is always ready to answer all my question . 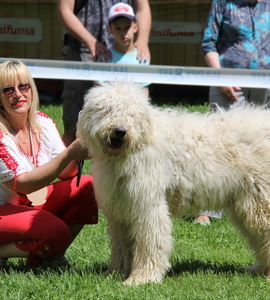 I have to say again that she is really a very nice person, I am so lucky that I have the Komondor from her. 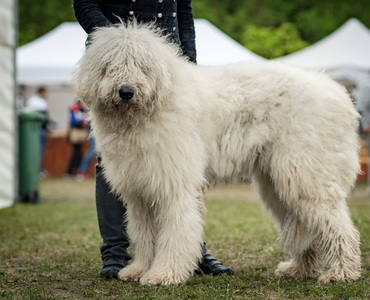 A perfect dog from a perfect breeder." Amennyiben felkeltettük érdeklődését, töltse ki az alábbi űrlapot!